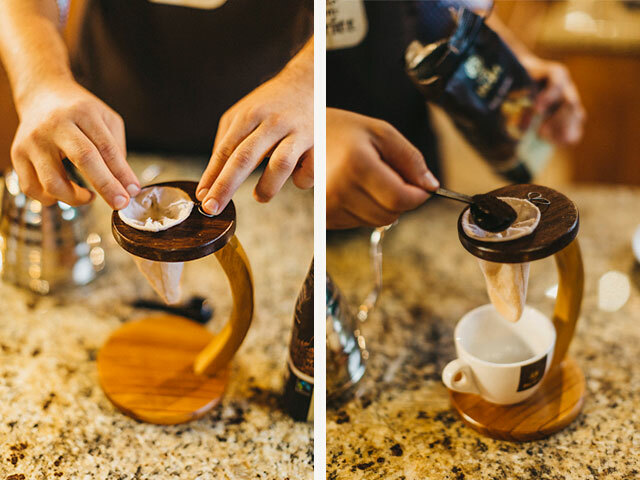 No visit to Costa Rica is complete without a café chorreado, or a pour-over coffee made with a traditional cotton filter. This brewing method allows you to fully control the process, including coffee-to-water ratio, pouring speed, and time of infusion. 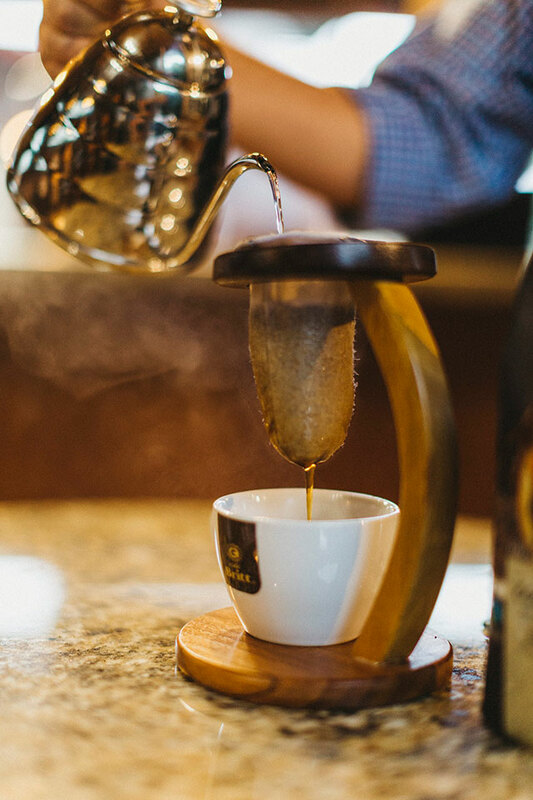 In Costa Rica, we use the word chorrear, which means to drip, to refer to the pouring of hot water over coffee grounds. A chorreador itself is the base, usually wooden, that holds the small cotton bag filled with coffee. In Costa Rica, this bag is usually called a bolsa or bolsita, but there are those that call it a media, or coffee sock, due to its sock-like appearance. As a traditional method, it is simple but, in our opinion, very effective! You’ll need a chorreador, a cotton bolsita, coffee, hot water, and a mug or pot for the prepared coffee. You will get the best flavor from a bolsita that has already been primed, so feel free to make a trial batch first. Boil water (6 ounces per cup). Place medium grind ground coffee (10 grams per cup) in the cloth filter. 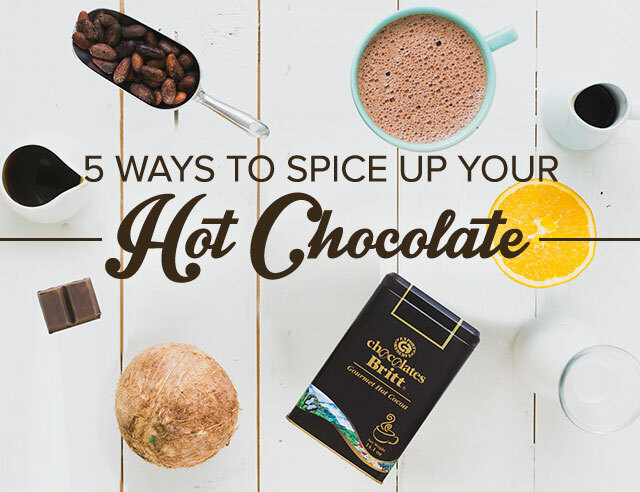 Pour a small amount of hot water over the grounds and let it sit for 30 seconds. Slowly pour the rest of the hot water through the filter and wait until the extraction ends. Don’t forget to wash the bolsita after use! Since filtering coffee in this way is a very logical and low-tech preparation method, it’s not surprising that many other countries, Latin American and otherwise, use something similar. Most Spanish-speaking countries called the cotton filter a colador (strainer or colander). In Venezuela and Colombia, this method is still used regularly. In other countries, such as Cuba, the Dominican Republic, and Puerto Rico, the use of coladores is now much less common and is considered traditional or old-fashioned. In Cuba, this type of coffee is called café carretero (“cart coffee”) as it is easy to make on the road. 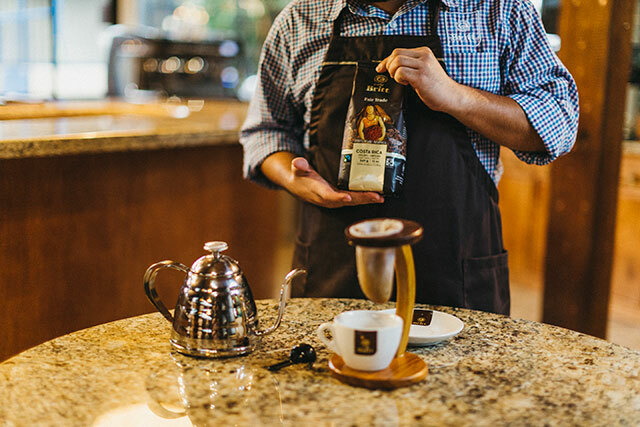 Café chorreado has many of the same flavor benefits as other pour-over filter coffees: namely, the ability to better control the brewing process, including coffee-to-water ratio, pouring speed, and time of infusion. Furthermore, the cloth filter allows for a cleaner flavor, and the pouring method guarantees that the grounds are evenly wet. 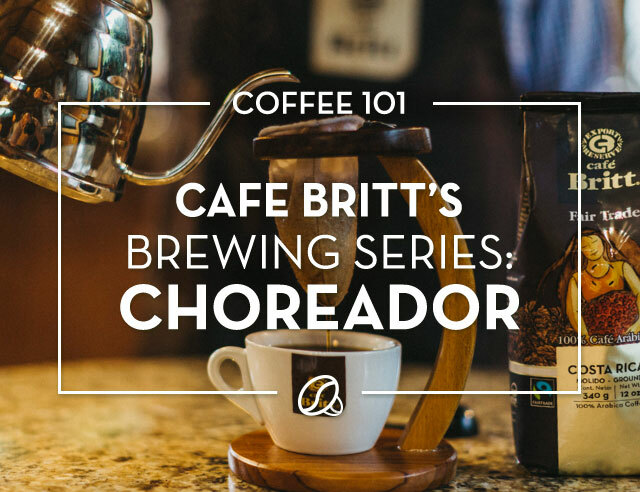 We love our café chorreado with Café Britt Fair Trade. Its woody aroma is inviting from the moment it rises up from the steamy chorreador, and the flavor notes of apple and laurel open up well with the pour-over method. Have you tried café chorreado?